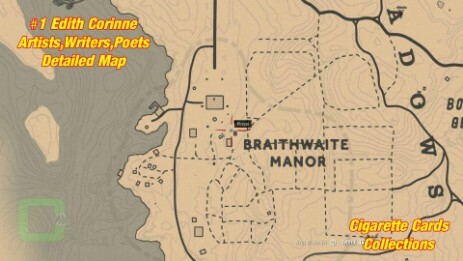 The card is located south of Rhodes on the Braithwaite Manor grounds. 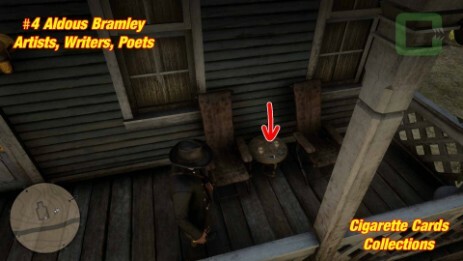 Southeast of the main building are some crosses, a water pump and a table. 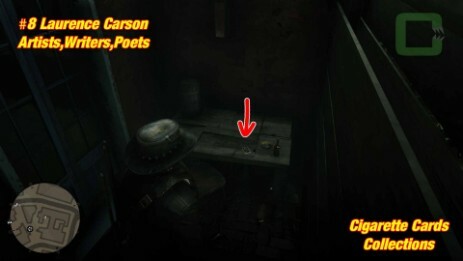 The card is under the table. 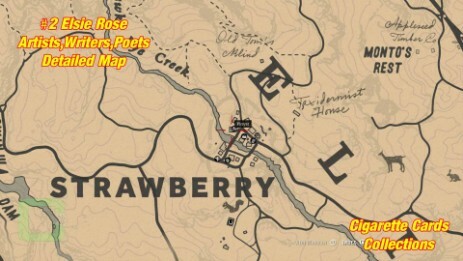 The card is located in the town of Strawberry. 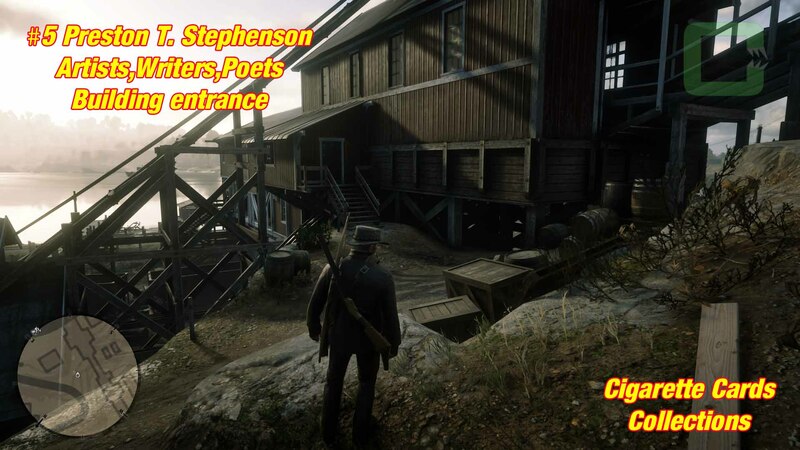 Go upstairs in the Welcome Center (Hotel). There is a little lounge area. 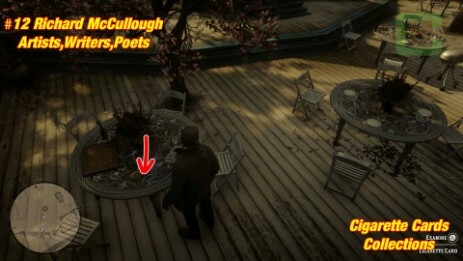 It's on the table. 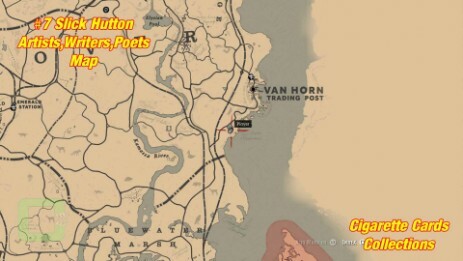 The card is located north of Emerald Station. 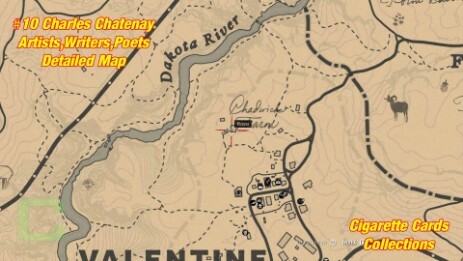 There is a little lake with an abandoned cabin full of skeletons. 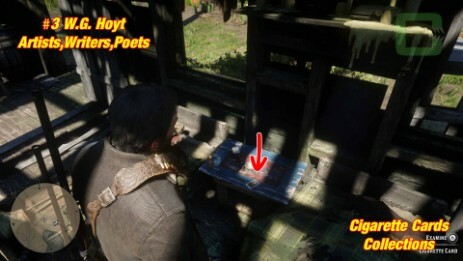 It's inside on a table. 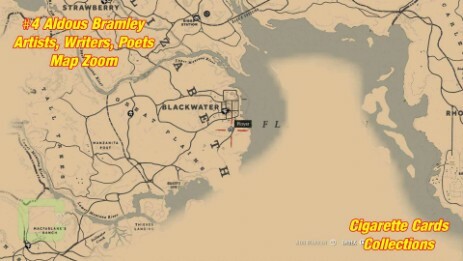 The card is located in the Blackwater area. 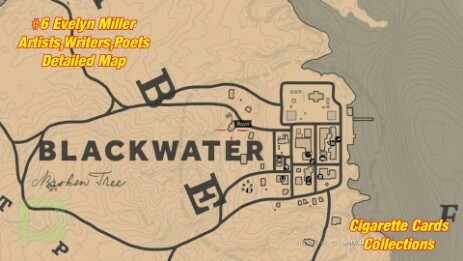 There is a house, when you take the road south out of Blackwater. 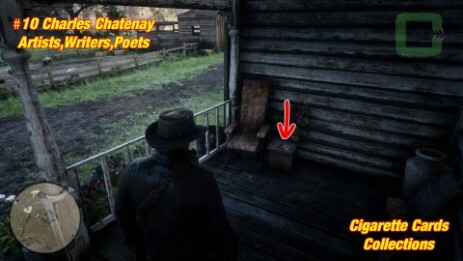 It's in front of the house on a table between two chairs. 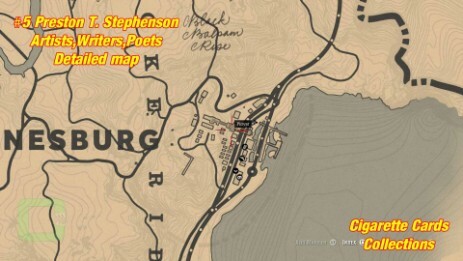 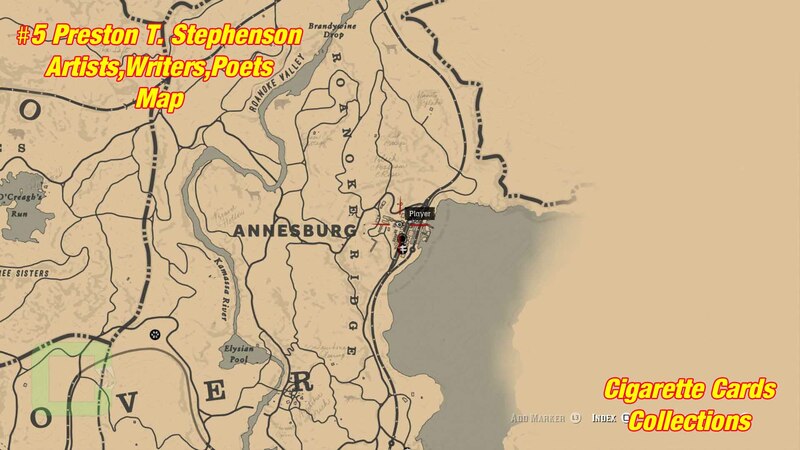 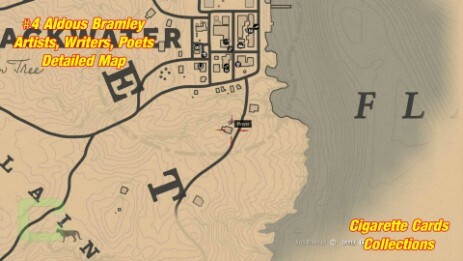 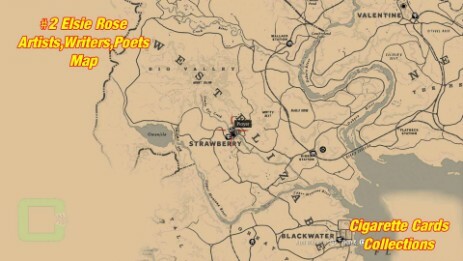 The card is located at Annesburg Town. Inside the long building in the center, where the coal is transported. The guards will react hostile so you have to sneak in. 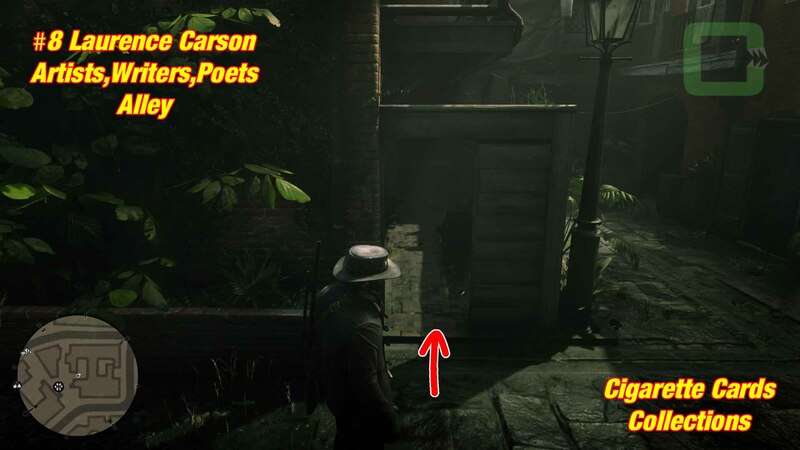 Best to do so, is through a door which is unguarded (From the north, in the center of the building - see building picture). 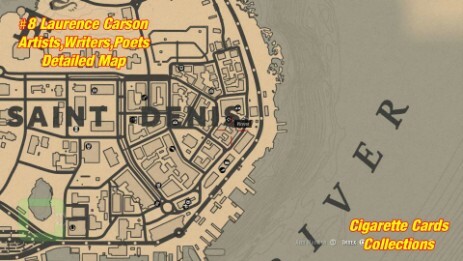 Look for an office sign. It's inside the office on the desk. It could be that you have to quietly get rid of a guard or two. 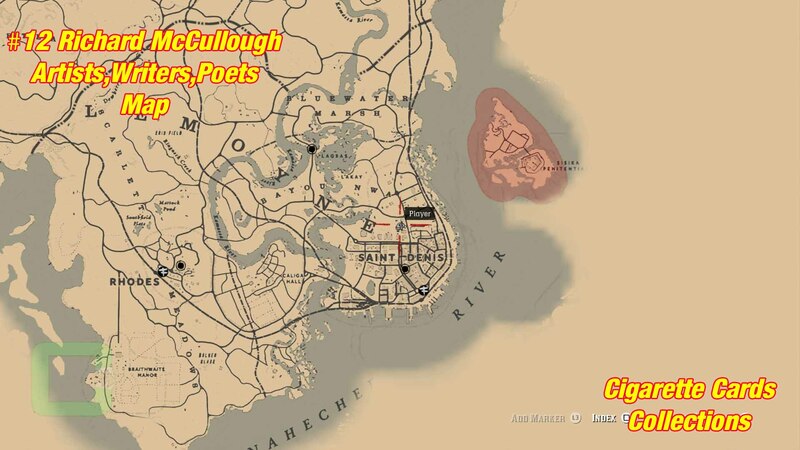 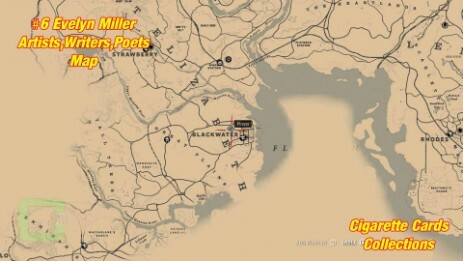 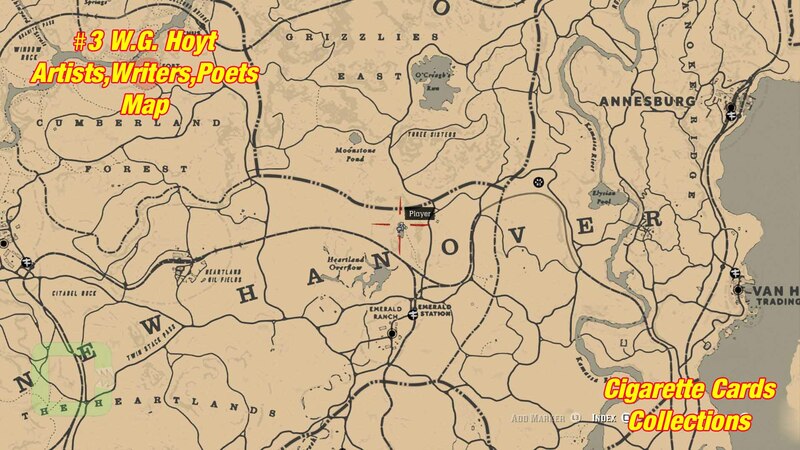 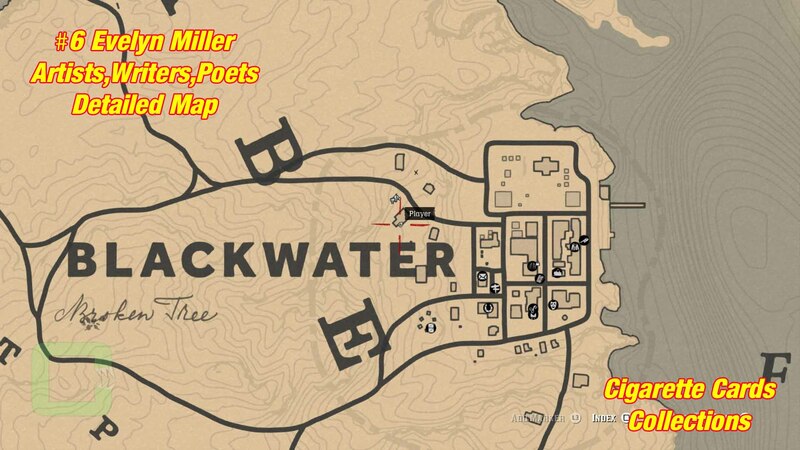 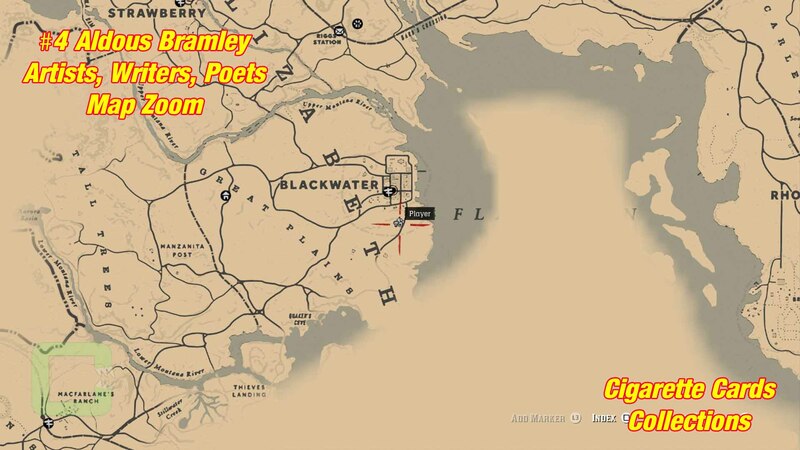 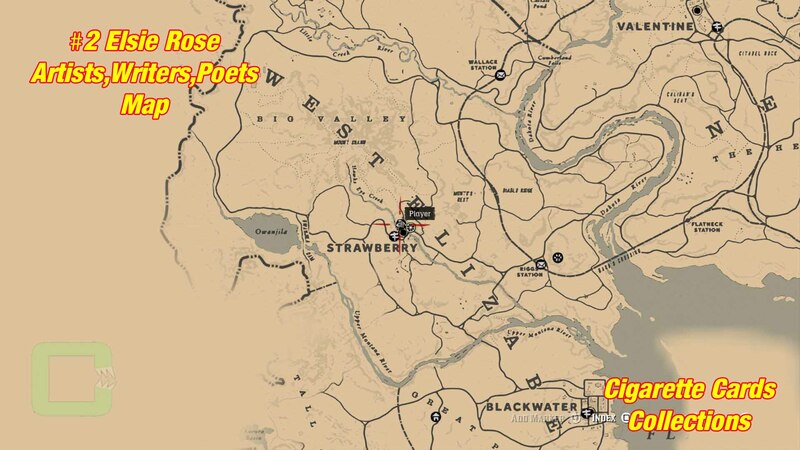 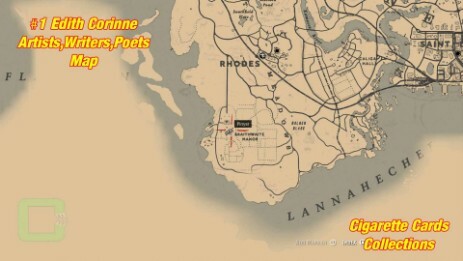 The card is located at Blackwater. At the back of this house, there is a table with a pile of washing. 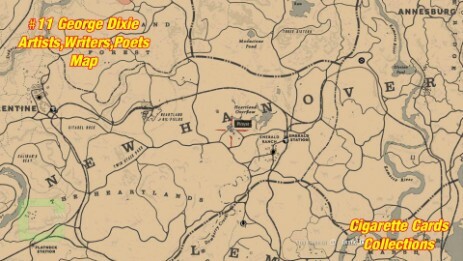 There's the card. 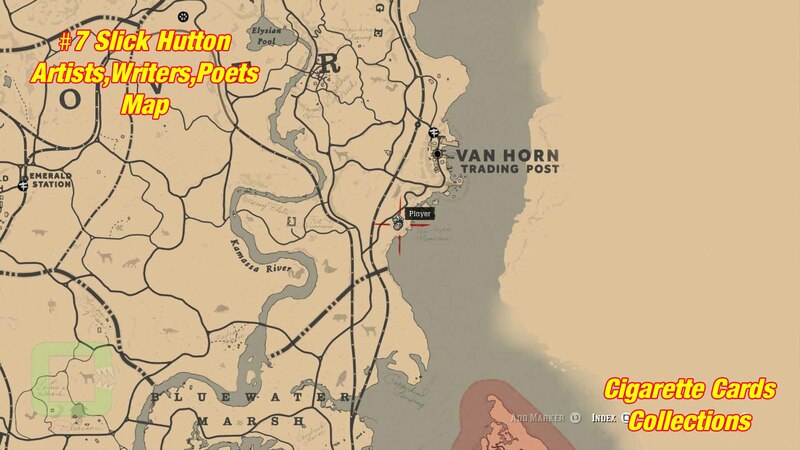 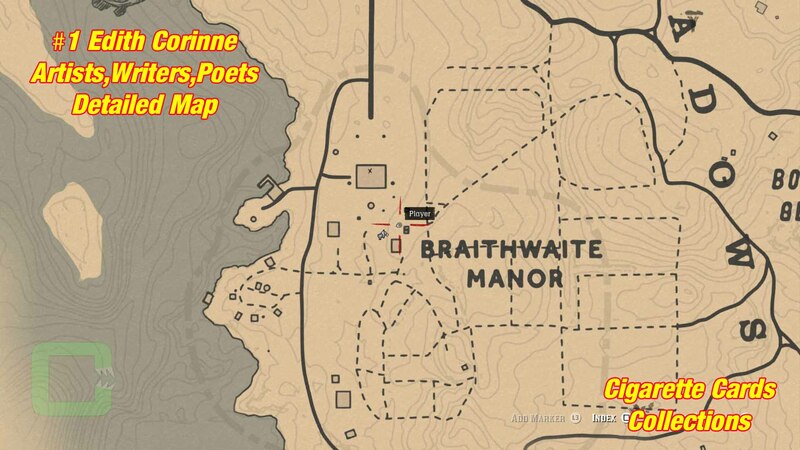 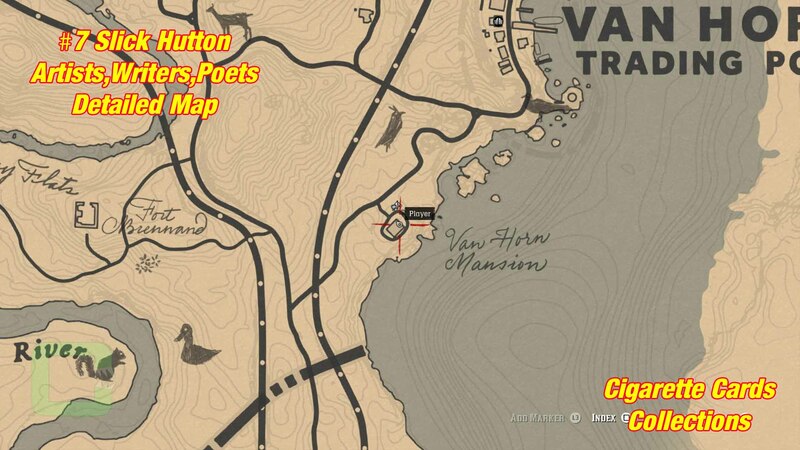 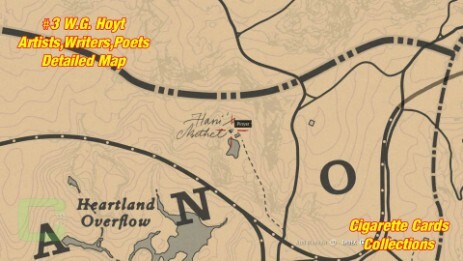 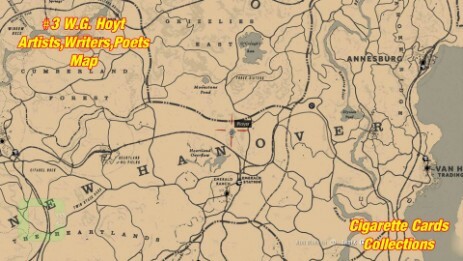 The card is located south west of Van Horn at a house called Van Horn Mansion. 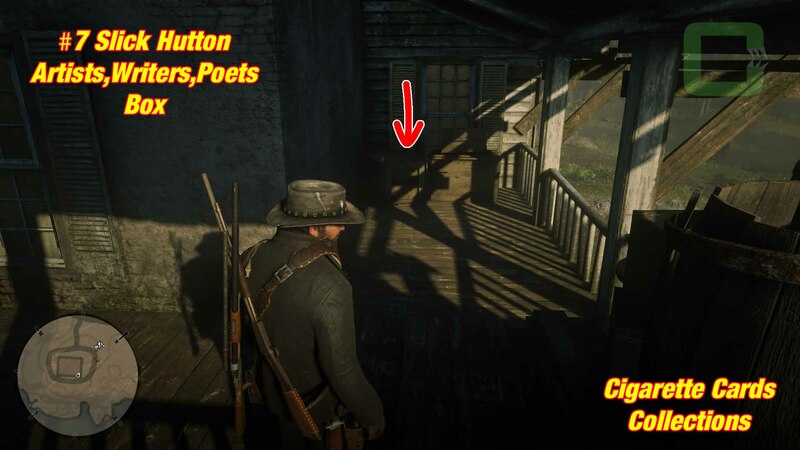 Take the stairs upstairs to get to the balcony. 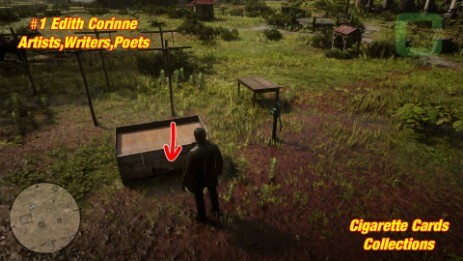 At the far end there are some boxes. 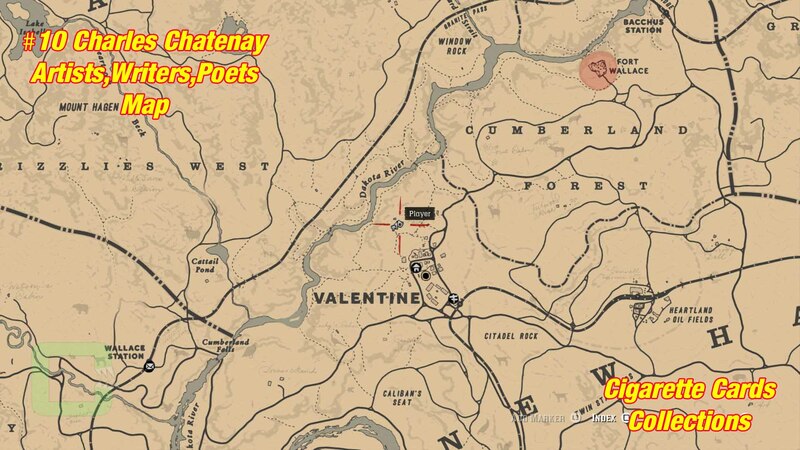 That's where the card is. 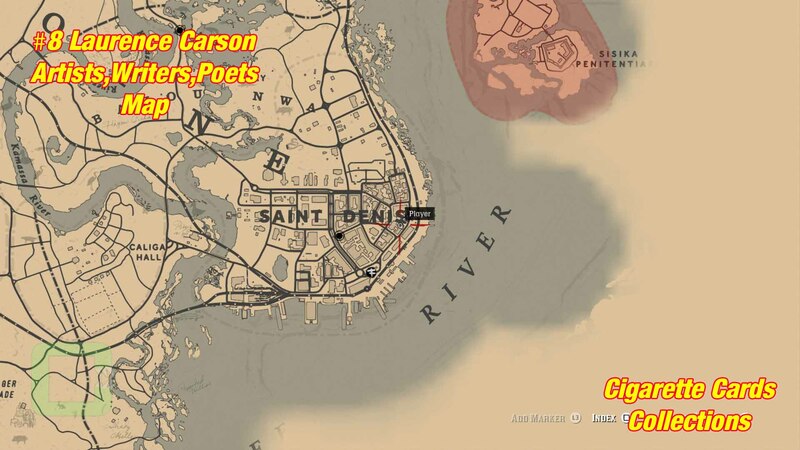 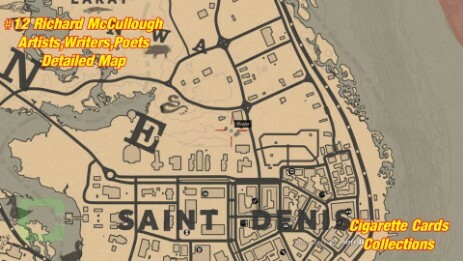 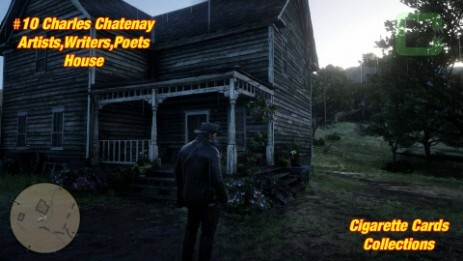 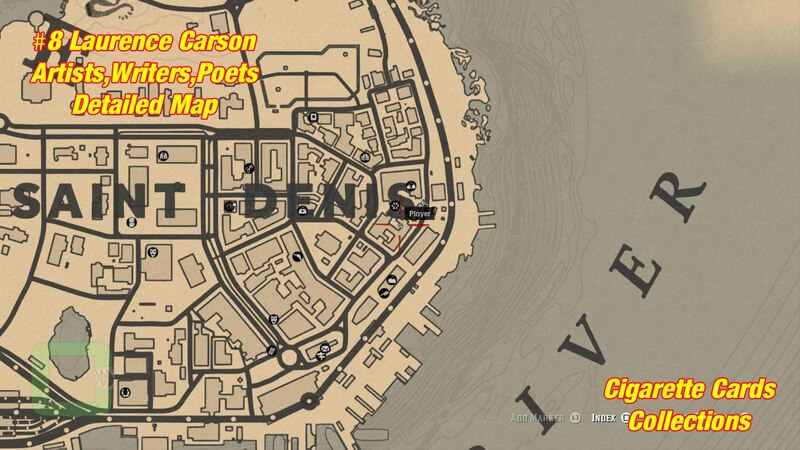 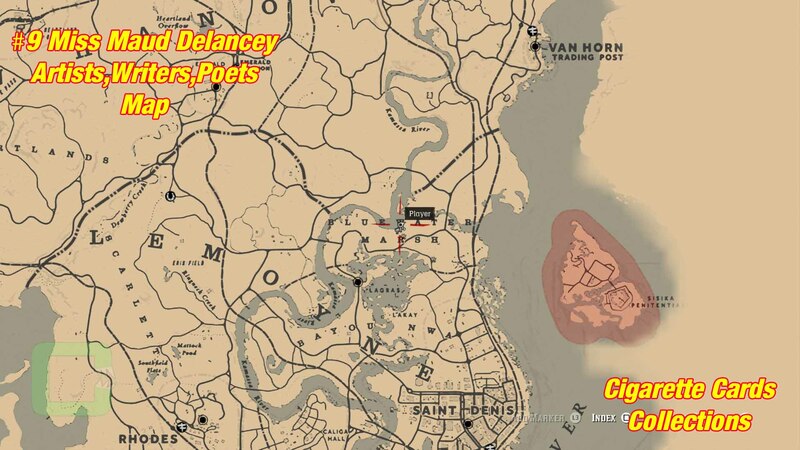 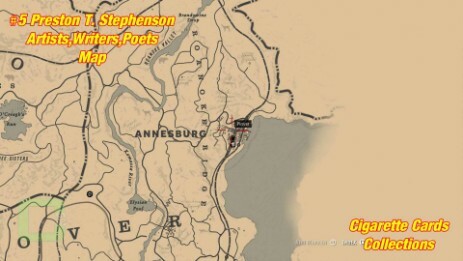 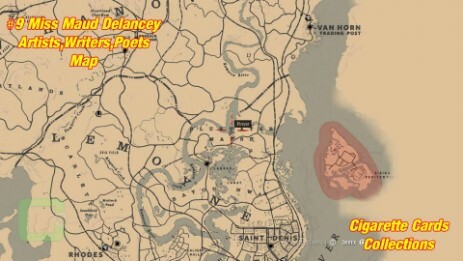 The card is located in the east of Saint Denis. 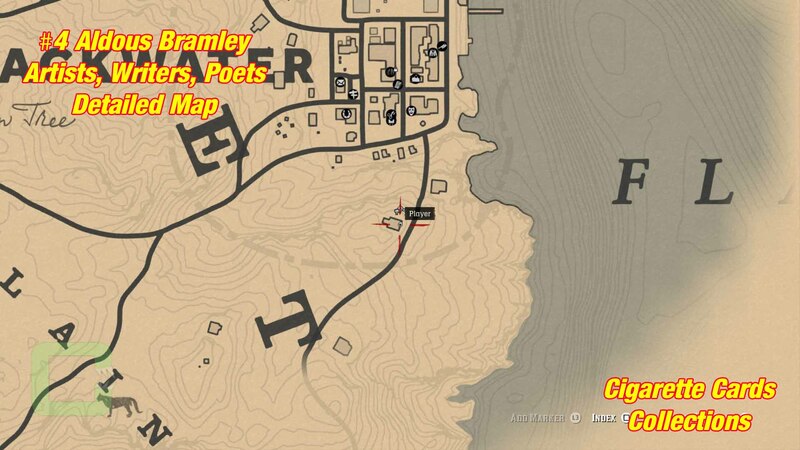 At the Trapper, take the alley to the south. There is a boarded room. Take the entrance. 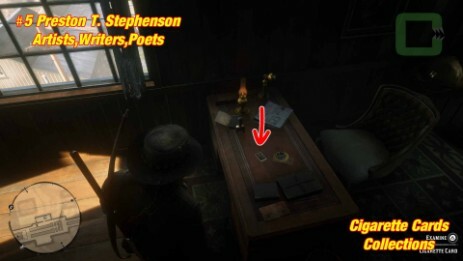 The card is at the end on the table. 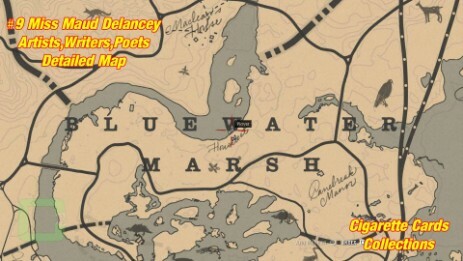 The card is located in Bluewater Marsh. 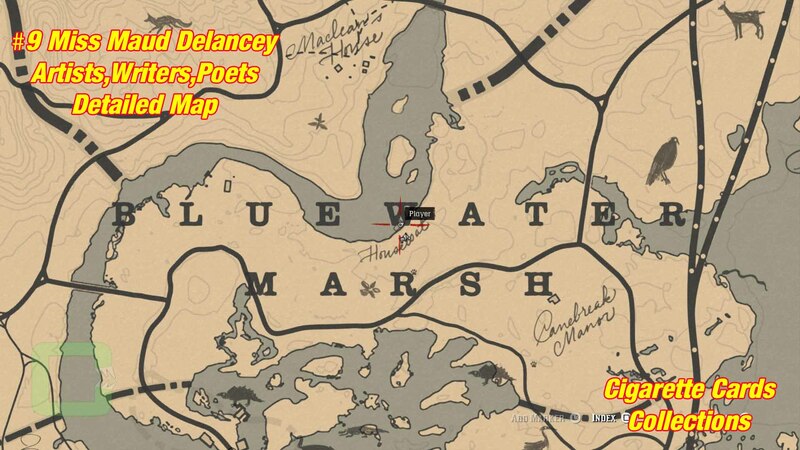 There is a little worn down boat at the river. 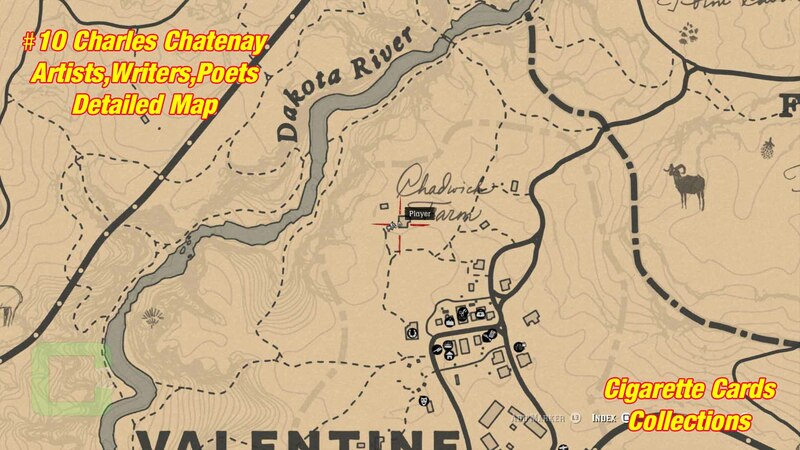 Take the stairs up. 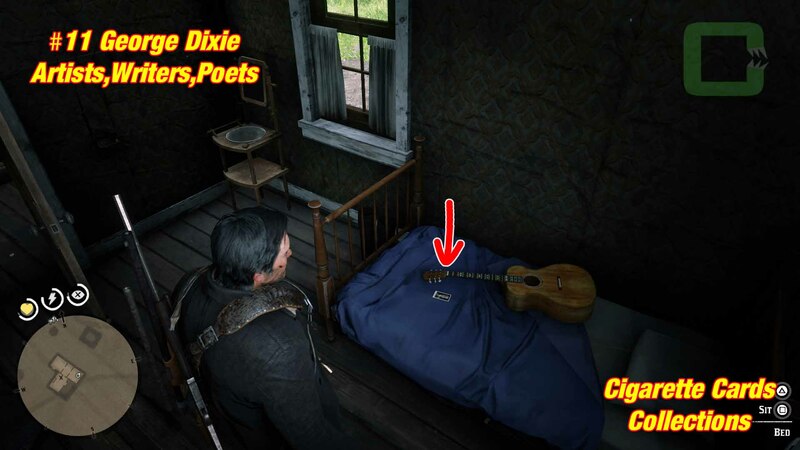 The card is next to the bed. 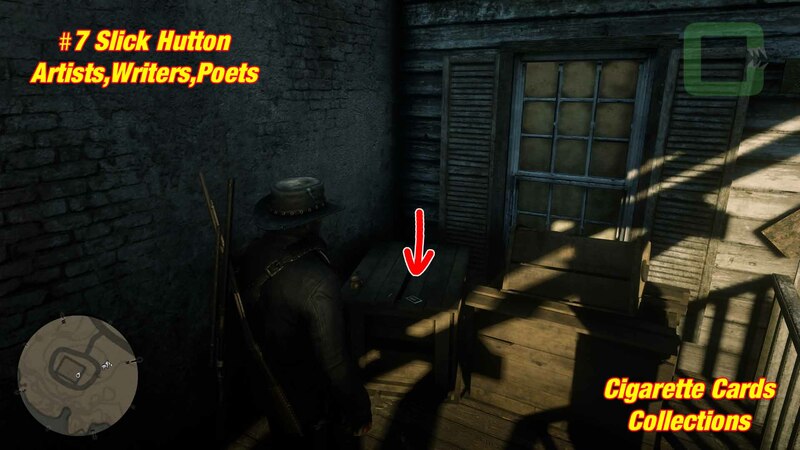 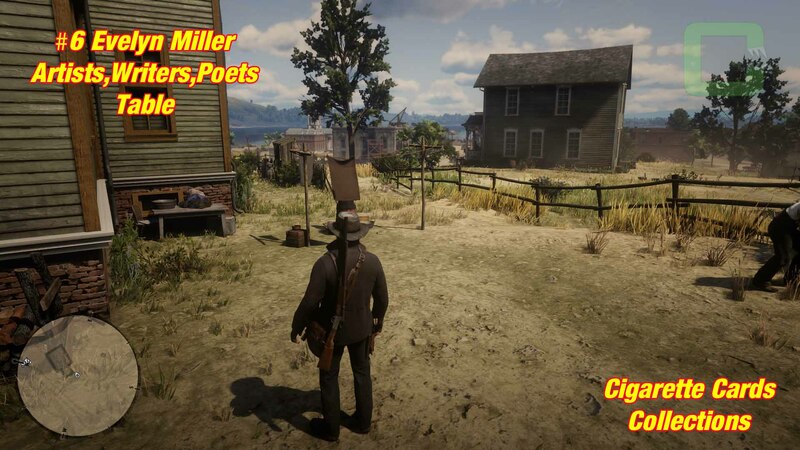 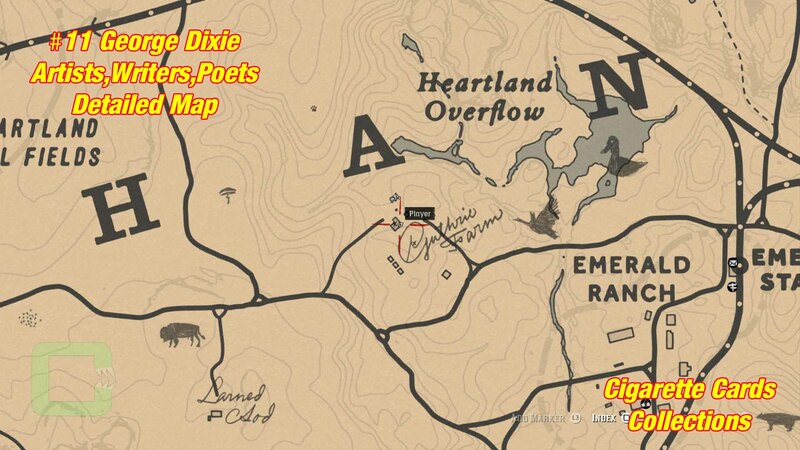 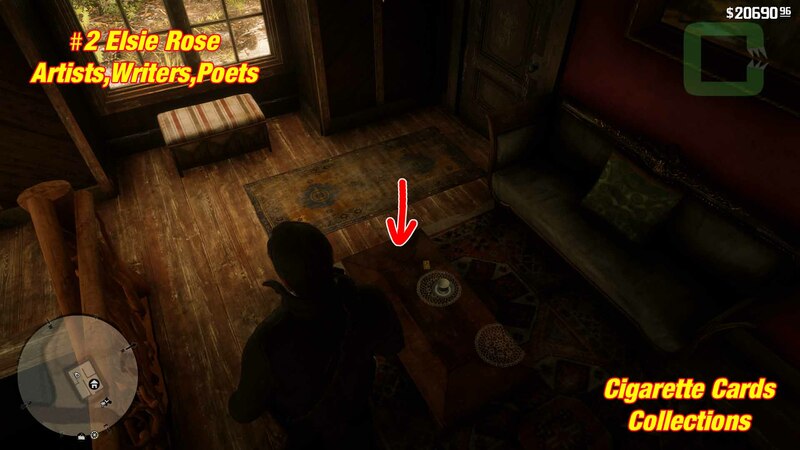 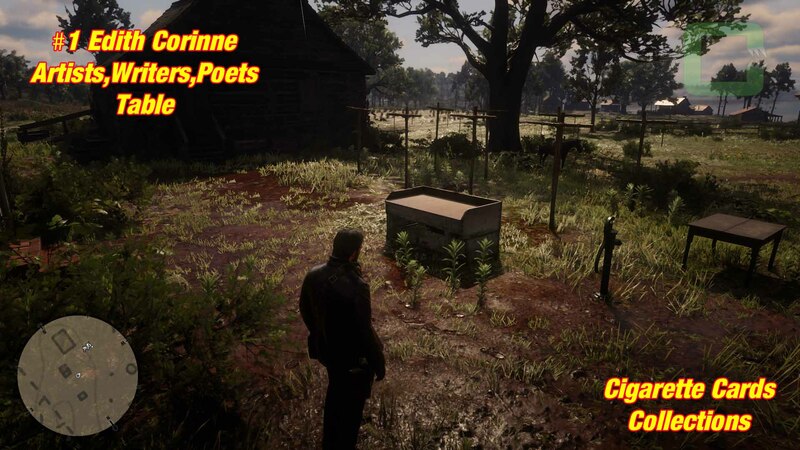 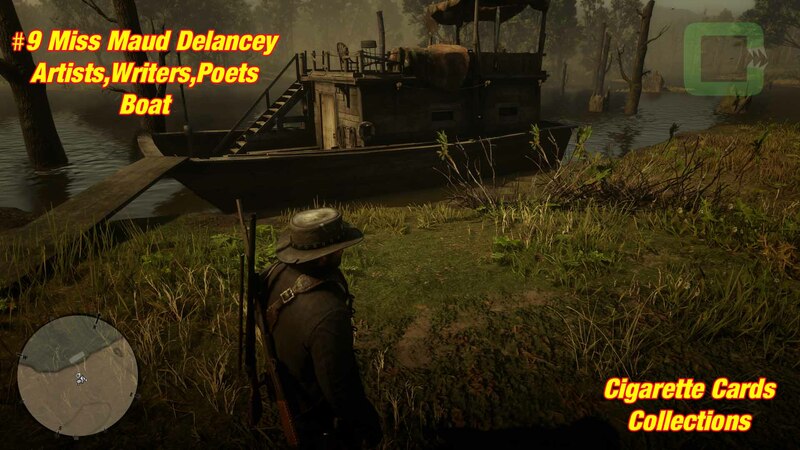 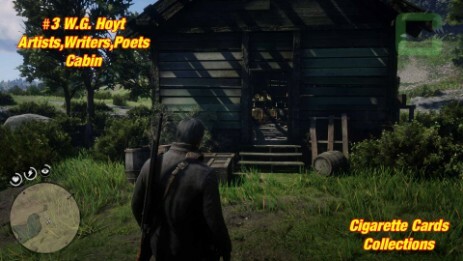 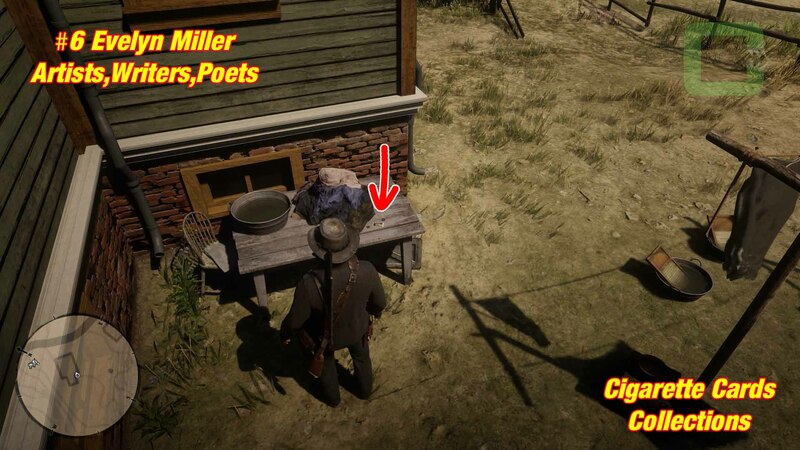 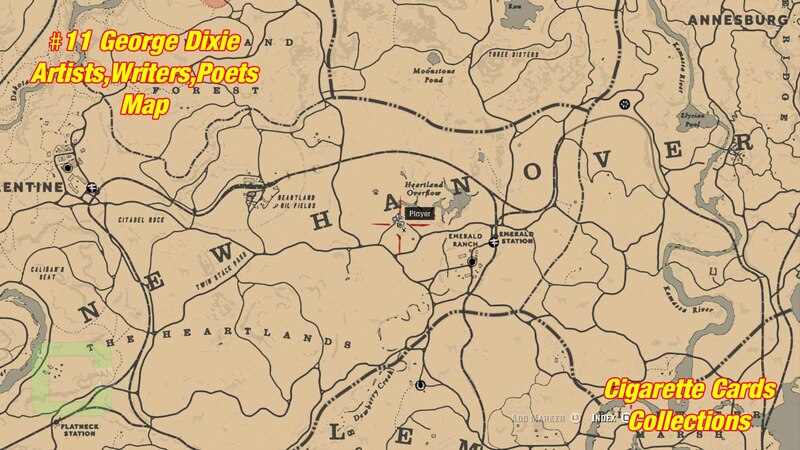 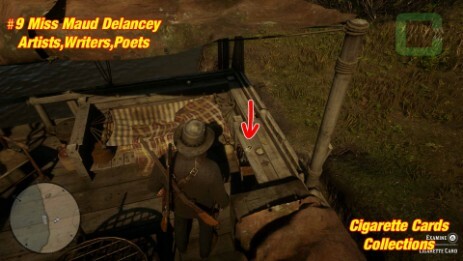 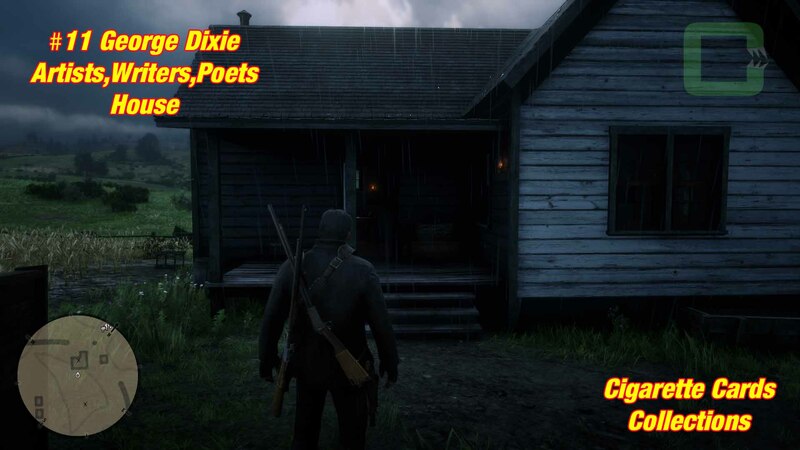 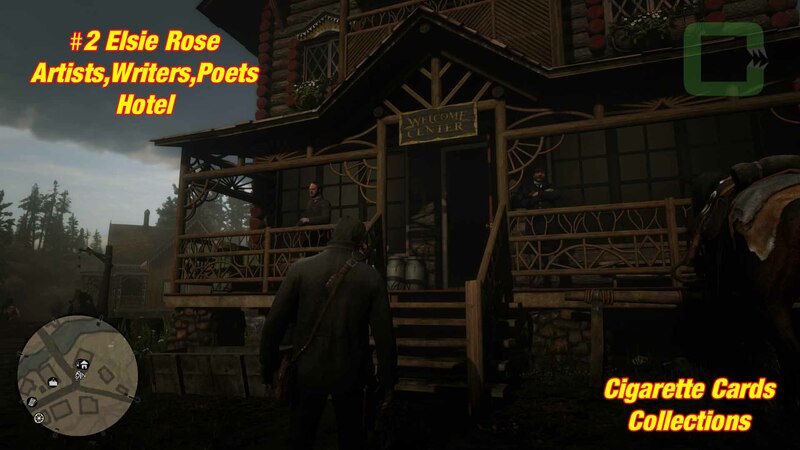 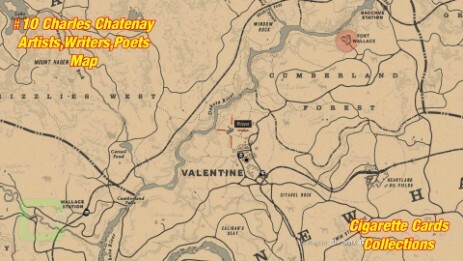 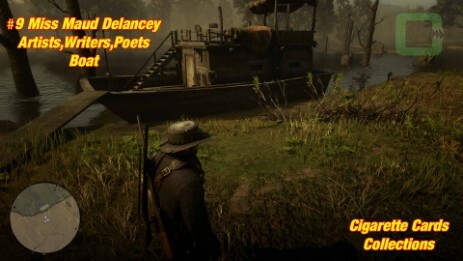 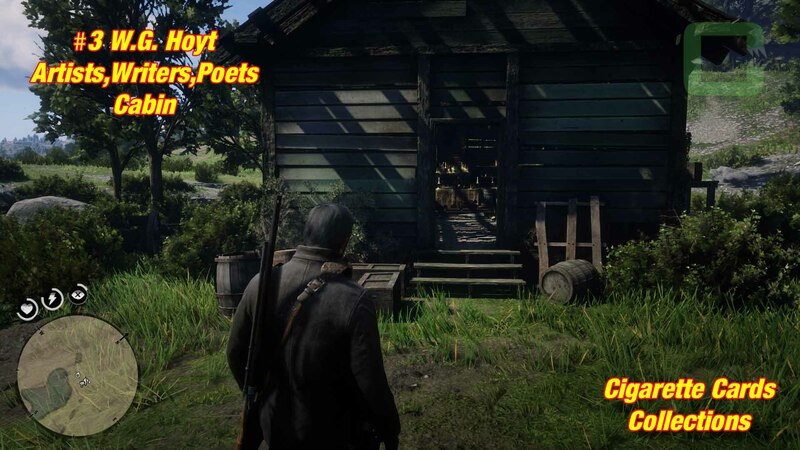 The card is located in Valentine. There is a farm called "Chadwick Farm" in the north. It's on the table in front of the main house. The card is inside a house on a farm east of Emerald Ranch. It is in a room with a blue bed, lying on the bed together with a guitar. 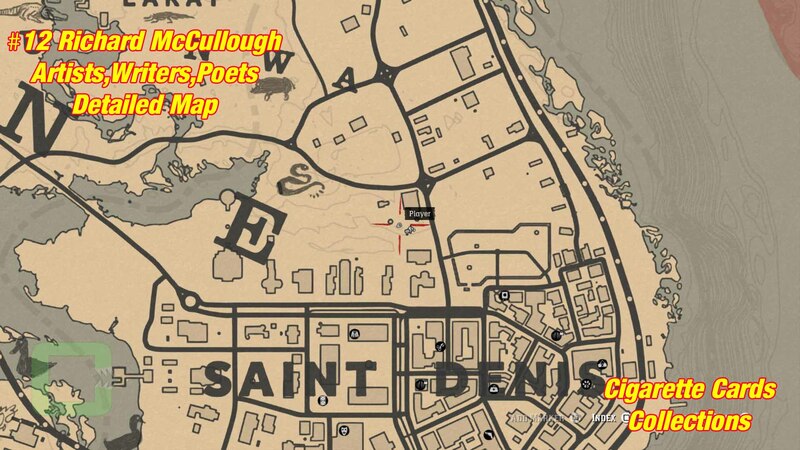 The card is in Saint Denis. 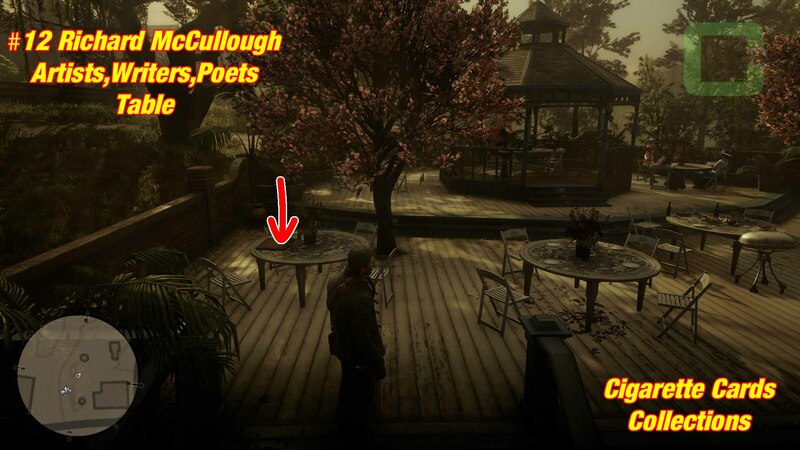 There is a House with a green house (the orchids place). Next to it are a couple of restaurant tables. It's on one of them.